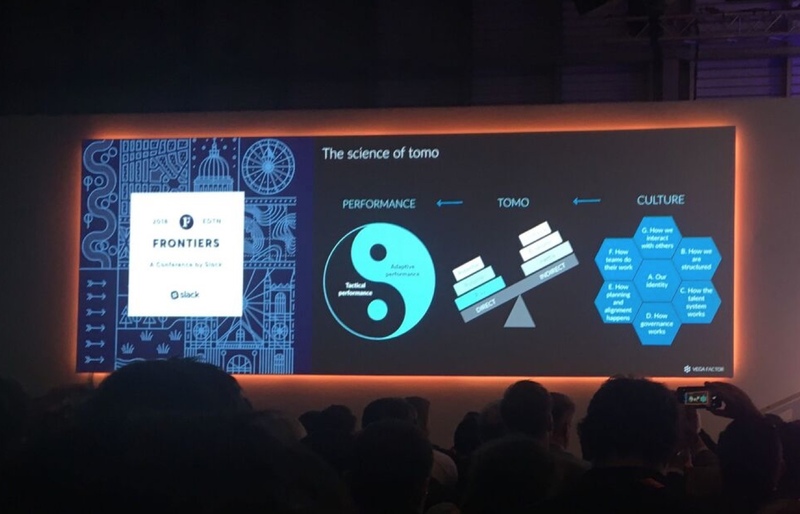 It’s not often that we get the chance to take a step back from the day to day and spend some time learning new things – but last week I had the opportunity to do just that at Slack’s Frontiers conference. 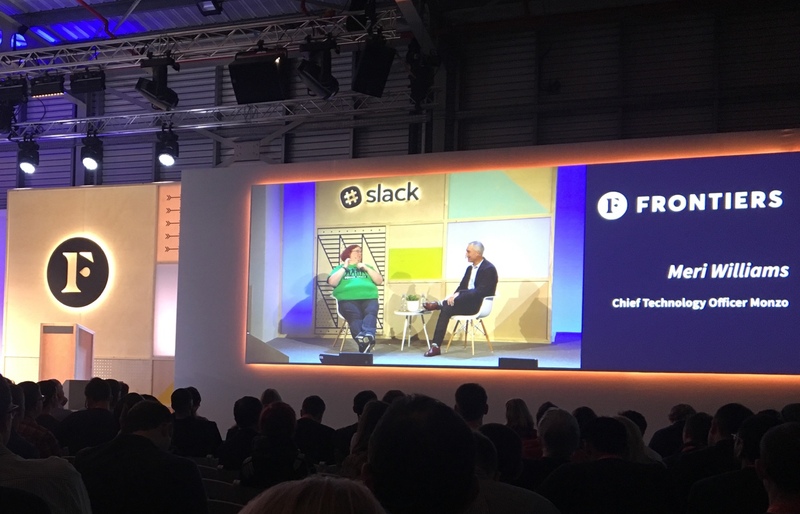 Slack hosted its first ever Frontiers event outside North America last week, making the leap across the pond to educate and connect with their European customers about the future of work. Bringing together incredible speakers from companies like Monzo, Farfetch, and Spotify. I was lucky enough to attend and wanted to share my top 3 learnings from the whole experience. Understanding what motivates people every day is fundamental to a high performing team. Lindsay McGregor of Vega Factor and author of Primed to Perform discussed the concept of Total Motivation – or TOMO – and its impact on your team’s performance. Her research shows that performance is equally driven by both tactical and adaptive performance. Tactical is the stuff you’re familiar with; how effectively you execute the plan that is put in place by strategy. The other aspect is your adaptive performance; how effectively you can diverge from the plan if something goes wrong – and this is influenced directly by both environment and culture. Tactical performance is something that we’re all familiar with, but she challenged us to think about what we can do to influence the adaptive part of our brains? Play, purpose, and potential were highlighted as positive forces in the reach towards being more adaptive in our work. On the reverse, emotional pressure, economic pressure, and inertia are motivations that ultimately create a negative impact on adaptive performance, and often incentivising behaviours can lead to a worse outcome overall. This is sometimes called the cobra effect: where an attempted solution actually makes the problem worse. 2. How opening up the conversation can improve alignment and growth. A resounding theme of Frontiers was all about democratising information. The traditional hierarchy of the workplace has changed, and with that the expectations and needs of the teams. Senior leaders from Farfetch, Spotify and Lonely Planet discussed the importance of opening up the conversation and connecting colleagues across the business. Having access to an archive of information and institutional knowledge can have huge benefits for everyone in the business. Being able to access expertise across a business can cut project times in half as well as speeding up onboarding for new staff. Senior leaders both “lurking” and participating in channels can have huge benefits in connecting with colleagues at every level and ensuring everyone’s on the same page. Tools like Slack give you the chance to maximise face to face time. All the operational elements get covered in Slack conversations so that 1-2-1’s can be about progression for employees. And to ensure better decision making and the benefits of making information available, Ali Rayl, Slack’s VP of Customer Experience, summed it up perfectly. 3. How streamlining processes and better communication helps employees focus on what they’re good at. 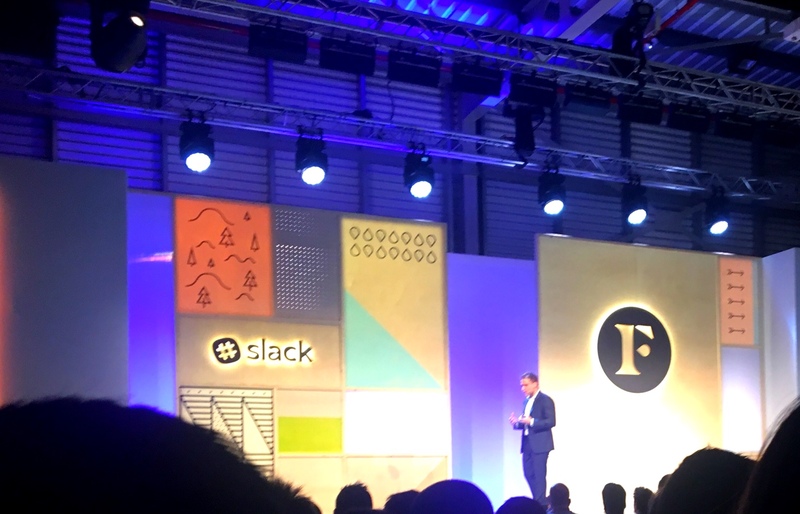 Funnily enough, at a Slack conference, a lot of the content was focused around how you could make better use of Slack. Slack is incredibly powerful and has transformed the way we work at GoSquared, so much so that we wrote a post about how we use Slack to make us more efficient. Co-ordinating an event like the World Cup coverage across the globe is no easy task. 21st Century Fox leveraged slack to get footage recorded in Russia, edited in LA, then approved in London and successfully tweeted out in under 2 minutes. When critical issues hit the Auto Trader engineering team, Slack is the fastest way to notify the whole team with a group notification. The on-call engineer can create a ticket from directly within Slack and keep the team up to date on any fixes until Monday comes around. One final thought from Dr Holly Branson, daughter of Sir Richard Branson, was that businesses should be striving to do “All that they can, not the least they can get away with” for our customers and our colleagues. 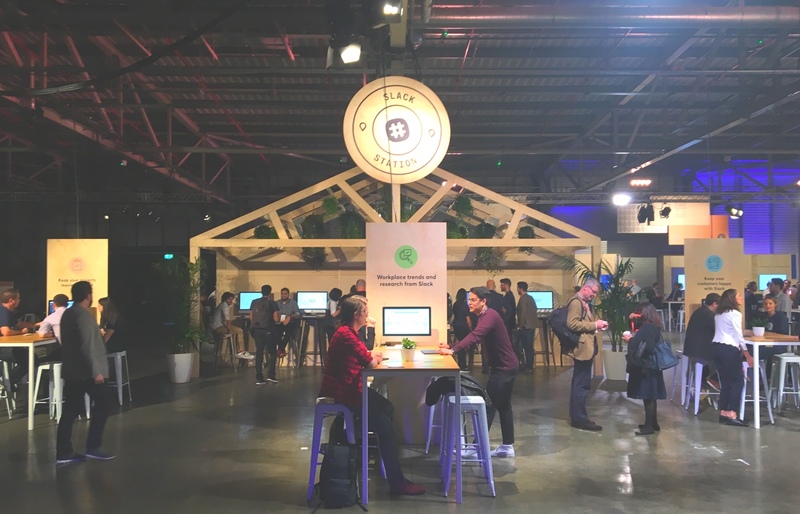 If you liked this roundup check out the 5 things we learnt at SaaStock 2018!